Electronics, TV’s, computers, batteries, household chemicals, paints and more. 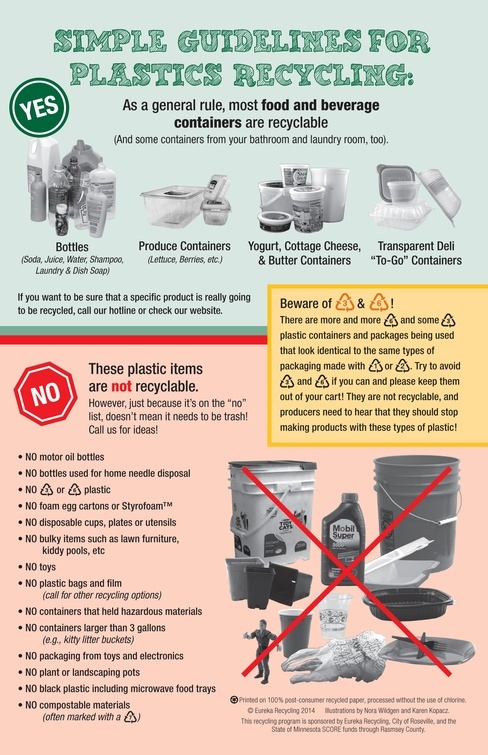 You can recycle these items at the Washington County Environmental Center. These items should not be thrown in your weekly trash. Most of these items will be accepted for no charge. Maroney's collects recycling using the single-sort method of recycling. We provide you with a single 64 gallon recycling cart. You can mix all of your materials in this simple to use recycling cart. 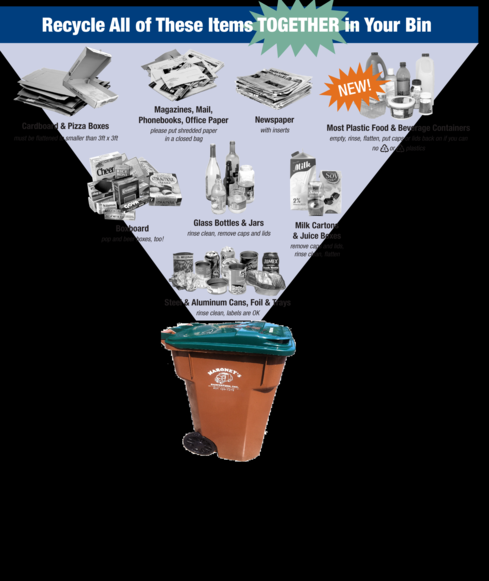 For details of what can be recycled in your cart, click the recycling flyer link below. Why can't we recycle paper egg cartons? Paper egg cartons are made from very short fibers. So they are made from recycled papers already and cannot be recycled again. This is the same reason we cannot recycle toliet paper or paper towel rolls (the cardboard looking roll in the middle). Our recycling center is seeing an alarming increase in sharps (needles and syringes). SHARPS ARE NOT RECYCLABLE. The State of Minnesota allows disposal of sharps along with trash as long as they are placed in a sealed container (example: laundry detergent bottle). Just remember, sharps can NOT be placed with recycling. Sharps pose a real danger to recycle sorting personnel. NEVER place sharps in your recycling. What gives? A trash truck picked my recycling???? Did you see a garbage truck picking your recycling? We are using the same type collection vehicles to collect both trash and recycling. This does not mean we are trashing your recycling! We are still bringing your recycling to a recycling center for separation. And you still need to keep trash and recycling separate. When we collect your trash, we bring it to the resource recovery facility in Newport, Minnesota. When we collect your recycling, it goes to a recycling separation facility in Minneapolis, Minnesota. So, if you see a garbage truck taking your recycling, it is being hauled to a single-sort recycling center and recycled not trashed. Why can't we recycle Christmas wrapping paper? Generally wrapping paper contains many materials that make it not recyclable. Wrapping paper often contains dyes and laminates, as well as metals and plastics embedded in the paper itself. In addition, many wrapping papers use bright metal inks. While some wrapping papers are recyclable, too many are not making it to difficult for recyclers to differentiate. Please dispose of wrapping papers with your regular trash. We are working to get some video of the single-sort recycling plant in operation. At this facility, both mechanized and non-mechanized equipment and machinery is used to sort out all of your recycling. It is then marketed and sold to many different companies for reuse. If you live in West Lakeland, your trash and recycling are seperate. West Lakeland Township handles the recycling provider. For information on your recycling days you should visit your Township's web site. Maroney's is your trash service provider. The holiday calendar you received is valid for your trash pickup. However, only the holiday changes pertain to West Lakeland. Our "green week" and "brown week" have nothing to do with West Lakeland's recycling schedules. West Lakeland's recycling service provider dictates your recycling schedule. It is our understanding the pickup days have changed. West Lakeland has been split into 2 separate pickup days. If you are confused by which week you are picked up on, click the link provided in this paragraph. View the map and determine your pickup day based on the map.